I’m kind of curious to see how the fan-created character turns out (I want to come here and complain when I’ve seen it). But other than that, the episode sounds pretty dull. 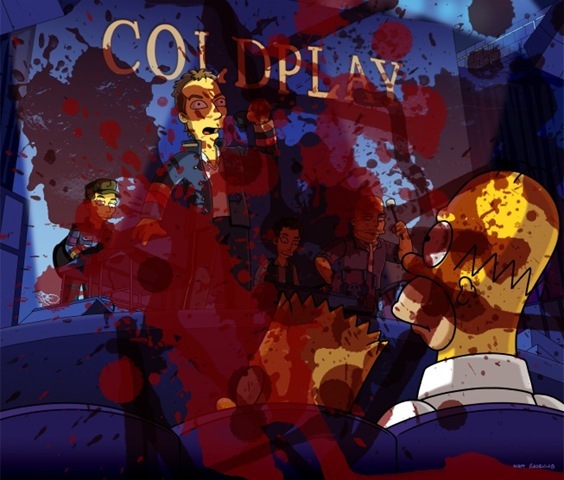 I wonder why Homer would hire Coldplay for Bart, anyway? Besides “Coldplay really wanted to be on the show” of course. I mean, he doesn’t strike me as much of a Coldplay fan. Nor does Homer, come to that. It’s a little jarring when you can hear the behind-the-scenes gears working rather than just hearing the noise of the show. This is the first episode where I felt like I was going to throw up in my mouth. Your stomach is stronger than mine.